Sue has been teaching singing in Perth, Western Australia for over 25 years and currently teaches in the Contemporary Music Course at the prestigious West Australian Academy of Performing Arts (WAAPA) and at The Actor’s Hub, as well as running her own very successful Singing Studio. For 15 years she has also run a Contemporary Vocal Performance Workshop in which vocalists have the opportunity to practice performing on a professional stage while being videoed, and receive valuable feedback in a safe practice environment. Sue has an extensive performance background that encompasses a wide variety of styles and performance situations. She started in an original rock band and performed in a highly successful 60s tribute band, and then went on to study jazz. Sue was lead vocalist and co-bandleader of the renowned 14-piece funk band, Hothouse, which performed for the Festival of Perth and was the headline act for many concerts and corporate functions. Hothouse was the official Super League (National Rugby) Band, and the support band for James Brown on his 1996 tour. Sue has also sung with Big Bands, including the WA Youth Jazz Orchestra and was featured vocalist on Jazz West Big Band’s CD, and performed as a member of this band at the prestigious Manly Jazz Festival in NSW. She was also a session singer and backing vocalist for many visiting acts. Another highlight of Sue’s career was being awarded first prize as a co-writer in the WARMIA song competition Pop/ Rock category in 1990, and first prize in the Jazz/ Blues category of the Australian Songwriters competition in 1992. She studied with SLS for 10 years and reached level 4.5, learning from some of the world’s best Vocal Instructors. 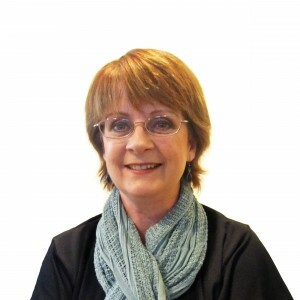 Sue has been instrumental in bringing world-class Master Instructors and teacher-training events to Western Australia. Sue left the SLS organization in 2013 to become part of the new Institute for Vocal Advancement, and continues to grow as a vocalist and a vocal teacher.